To meet the demands of the electrical industry, rourkela steel plant offers cold rolled non oriented (crno) fully processed steel used in the prepare of magnetic cores and components. We are offering an extensive array of CRNO Coils that is manufactured using quality raw material.With the help of vast distribution network we assure that the consignments are timely delivered to the client. We are the OEM manufacturer for Sail for the cores and coils for transformers. Galvalume coils prime/secondary (GL / Tin-Tin) material available available in all size and Thickness. We can supply good quality Cold Rolled Non Grain Oriented Steel in various grades like M36, M43, M45, M47, etc. A bouquet made with the freshest, perfectly bloomed pink oriental lilies, gypsy and rose, beautifully wrapped in printed paper. We offer wide range of CRNGO / CRNO Slitted Coil to our valuable clients. Sizes as per the requirement of the customers. 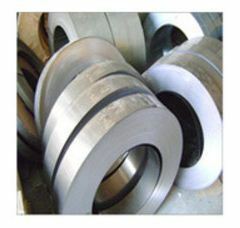 Slitted Coil are made from prime CRNO electrical steel coils from various steel mills. Slitted coils are of various grade and quality as of the CRNO coils. We are the manufacture and export of a comprehensive range of CRNO Coils that is fabricated using high grade raw materials.